Cognac Giboin is a small cognac house with 60 acres of vineyards in both the Borderies and Fins Bois cognac growing areas of the Charente. This family run, traditional cognac house has a history stretching back to the early part of the nineteenth century, and produces a very limited amount of cognac per year. Using only Ugni Blanc grapes, Cognac Giboin strives to remain faithful to the methods used by the family’s founders, and for a small house produces a surprisingly versatile and wide range of cognacs. The story of Cognac Giboin started in the year 1830, when the current owner’s great great great grandfather began cognac production on a small and exclusive scale. This artisan approach continued through the decades, with the knowledge and family secrets being closely guarded and passed down from generation to generation. As the years went by, they house diversified and extended its range of cognacs and cognac products. 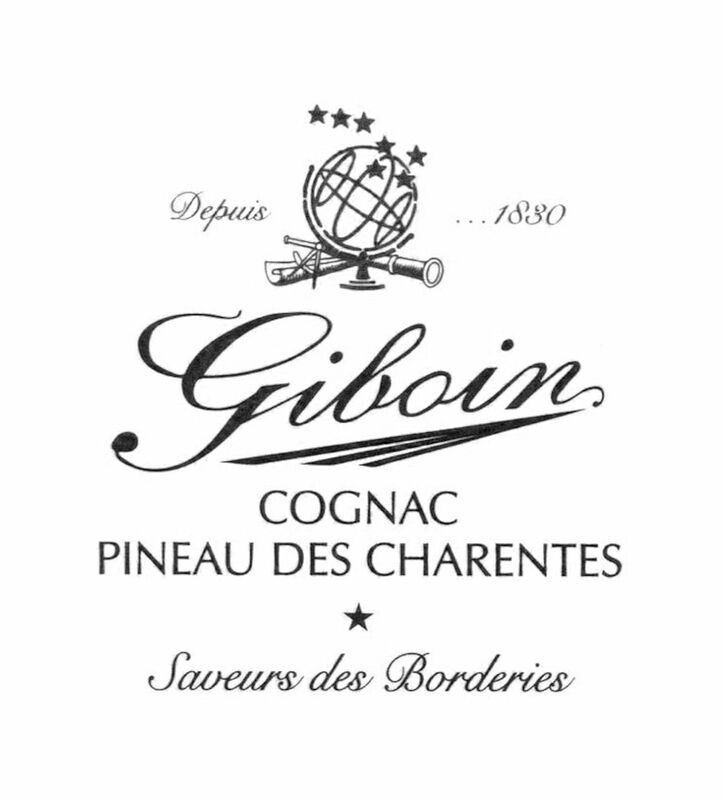 Along with cognac, Cognac Giboin also began to produce Pineau des Charentes, beginning with a white Pineau and soon extending this to both a rose and red version. As the house was passed down from family member to family member, each added their own unique flair to the cognac process and range of products. But no matter what, each remained faithful to the original concept of their forefathers, which was to produce a small and exclusive number of high quality cognacs, each of exceptional quality and to be enjoyed by all. Today Giboin Cognac is in the capable hands of Francois Giboin. He is not only the owner, but the cellar master as well. The cognac house remains in its original setting of L’Hermitage in Cherves Richemont in the Borderies growing area. It is here that Francois overseas every step of the cognac producing process, from grape growing and maturity through to aging, distilling, blending and, of course, bottling the finished product. Francois is careful to remain true to the concept of his ancestors. He strives to produce a limited, top quality range of eaux-de-vie. Indeed, from the 60 acres of vineyards, the house of Giboin Cognac produces a maximum of 4000 cases of cognac per year. As many other cognac houses are also keen to do, Cognac Giboin is also breaking into the US market. Olivier Giboin, brother of Francois, is busy introducing the house’s wares to the Californian market. After visiting the Napa wine growing region to learn more about his trade, he ended up staying there, now acting as the US marketing arm of this family run cognac house. The cognacs produced by the house of Giboin are marketed in three distinct categories. These include the Cognac Giboin Borderies Millesime range and their Pineau des Charentes. Prices range in order of the age of the eaux-de-vie. For example, a bottle of Giboin Cognac VSOP Réserve de l'Hermitage can be purchased from around €42 Euros. Other cognacs, depending on their quality – such as the Cognac Giboin Borderies Millesime 1994, retail for somewhat higher prices. There is no information available about visiting Cognac Giboin.